In a memo to governor-elect Janet Mills on Dec. 5, the Acadia Center recommended steps to modernize Maine’s transportation system, which could create 8,700 new jobs and $3.8 billion in economic benefits. 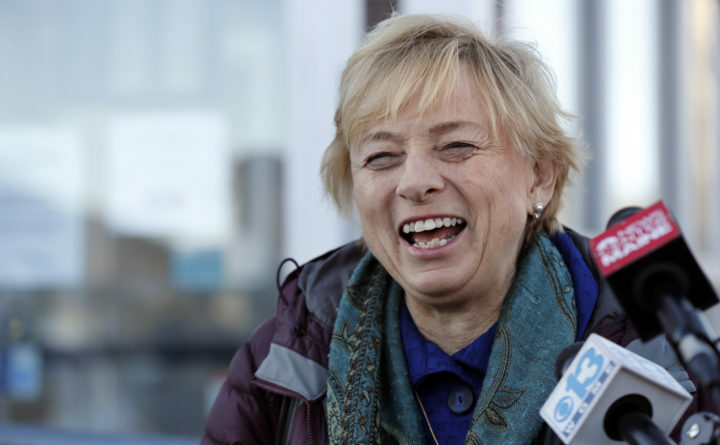 Maine could gain 13,500 jobs and receive a $6.5 billion boost to its economy by shifting toward cleaner energy and upgrading its transportation infrastructure, a clean energy research and advocacy organization said in a memo Wednesday to Gov.-elect Janet Mills. Acadia Center of Rockport said that modernizing the state’s transportation system alone could produce more than $3.8 billion in new economic benefits, add 8,700 new jobs and create $2.3 billion in public health and other benefits. With other improvements, including cleaner energy, the state could generate $6.5 billion in consumer and economic benefits and create about 13,500 new jobs. The memo comes two days before the Acadia Center holds a clean energy forum in Augusta at which Mills will give the keynote address. “Maine must update and improve its energy and transportation systems, and doing so presents a significant opportunity to strengthen its economic future,” Daniel Sosland, president of Acadia Center, said in a statement. Acadia Center’s memo recommends five transportation and energy reforms that will have the most direct impact on Maine’s economy. — Modernize transportation infrastructure to improve safety, access and convenience. — Transition power generation to cheaper, cleaner and more resilient local sources. — Improve energy performance in buildings to reduce costly energy use and emissions. — Reform energy grid rules to reduce high energy costs and speed energy innovation. — Give communities and consumers more control over their energy choices. The Acadia Center said Mills has indicated that advancing clean energy is a top priority. The organization said the reforms it is recommending will move the state away from its dependence on oil and gas and fix decrepit roads and bridges. The organization said more than half of Maine’s bridges are older than 50 years, and one out of seven has been rated structurally deficient by the American Society of Civil Engineers Infrastructure Report Card. At the same time, the state has the lowest funding per mile of the six New England states and a $68 million annual gap from the state to fund repairs, the report card said. The Acadia Center’s memo said proposals to reform transportation funding at the state level have failed every year since 2009. It recommended that Mills initiate policies including putting a value on carbon emissions from transportation, which creates 52 percent of greenhouse gas emissions in Maine, according to the Regional Greenhouse Gas Initiative 2016 annual report. That could include a regional cap-and-invest program with other Transportation & Climate Initiative states that could complement other policies and generate revenue for reinvestment in significant transportation improvements. “Maine’s next governor should act quickly to join Transportation & Climate states to put a price on transportation emissions to reap these many benefits and accelerate progress to a more modern, equitable, low-carbon transportation system,” the memo said. It also recommended new energy policies for solar power, saying distributed solar installations in the state could create 1,285 new jobs through 2030 and add $9 million annually in new state tax revenue generated as a result of the new jobs and economic activity around solar installations. In a new policy for current electric grid rules, it recommend decreasing fixed monthly charges for residential electric customers and creating a more efficient grid with cleaner and cheaper energy systems.